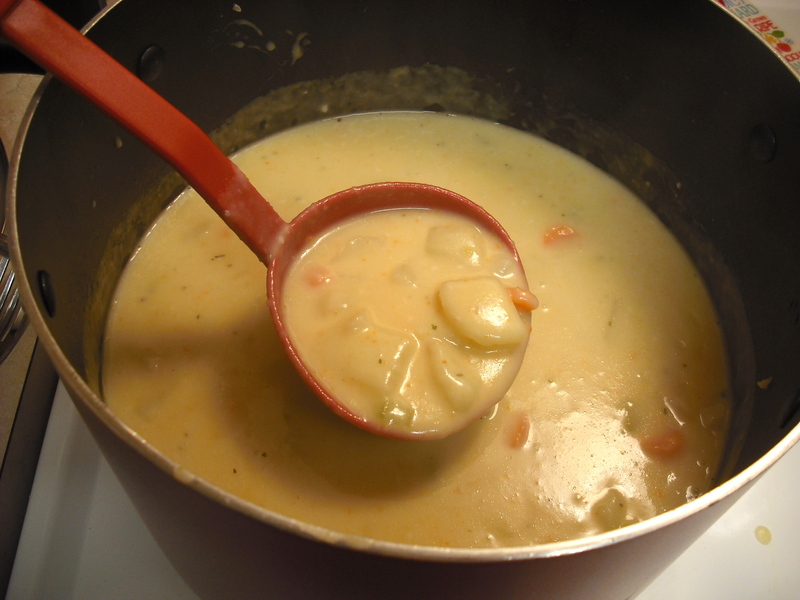 So I’ve recently developed an addiction to potato soup… I have never really been a huge soup person, and now I’ve come to realize it’s because I never really gave soup a chance. Soup was something my mom always had us eat when we were sick (chicken noodle) so the idea of eating soup when I was healthy was a little weird to me. 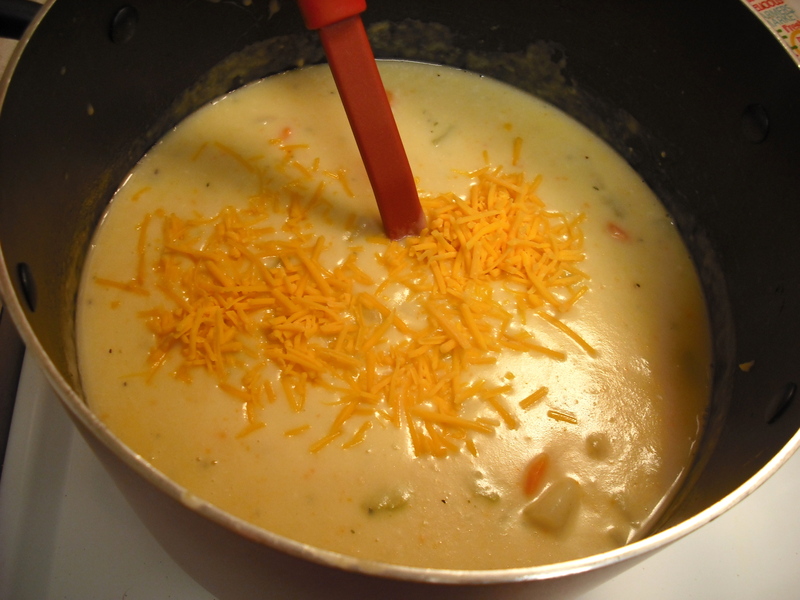 Ironically I am sick right now and just made some amazing potato soup… but I would have made it if I wasn’t sick too. I have a vague recipe for you guys today. 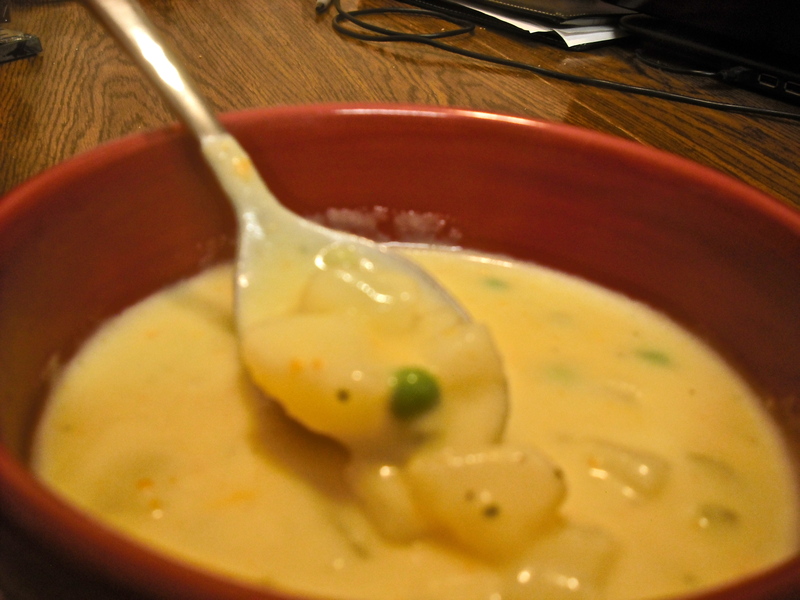 I took a basic potato soup recipe, and definitely tweaked it up a bit. Soup is just so accommodating for everyone because you simply leave out ingredients you don’t like, and add in ingredients you do like! Feel free to use different vegetables than the ones I used… this soup is yours! 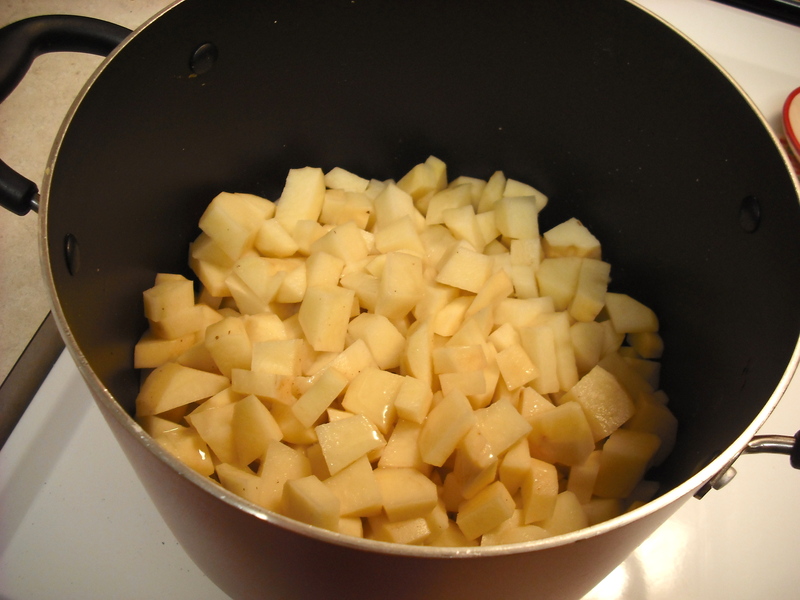 Step 1: Peel and cube your potatoes into bite size-ish pieces and toss in a big pot. Drizzle a little olive oil over them and let them ‘saute’ for 3-4 minutes on medium heat. 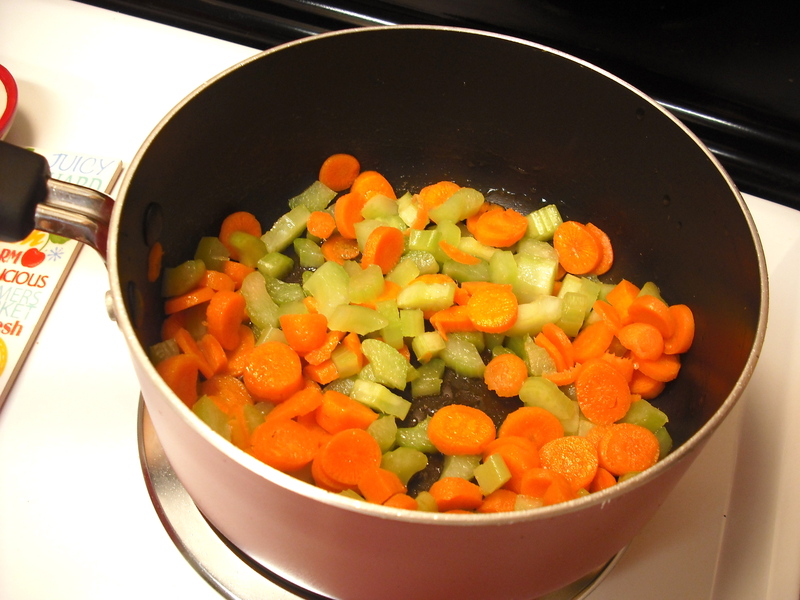 Step 2: While your potatoes are sauteing, dice your celery and chop your carrots. On medium heat, saute them in a small pot with olive oil, garlic powder, and onion powder until the celery starts to lose it’s color (turns white). Step 3: Add your veggies to your potatoes and add enough chicken stock to cover the potatoes. (I ended up using 5 cups, but could be more or less for you) Cover and let simmer until the potatoes are tender (15-20 minutes). Stir occasionally. 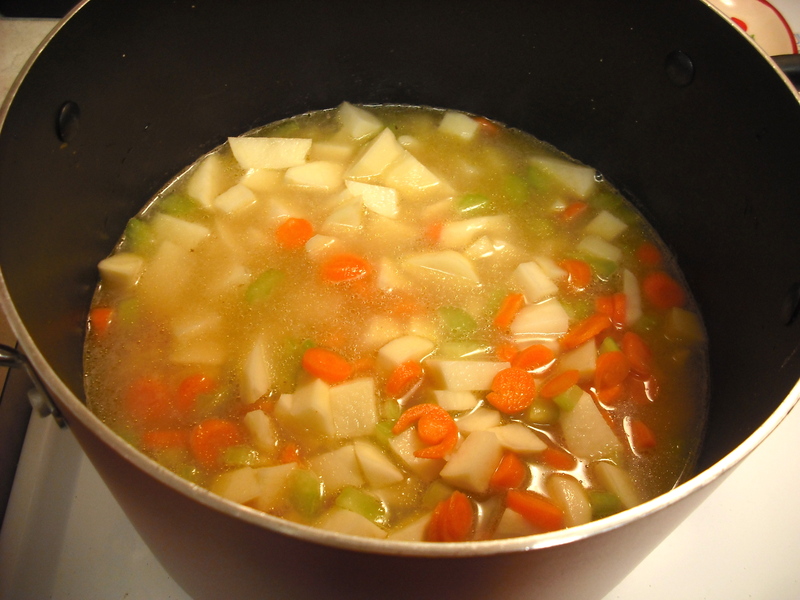 If you find that your chicken stock is boiling, lower your burner temp to maintain a simmer. Step 4: Melt your butter in a medium sized pot on medium heat. Add in the flour and let cook for 1-2 minutes, stirring constantly. Add in your heavy cream, parlsey, and italian seasoning. Also add in some salt and pepper to taste. 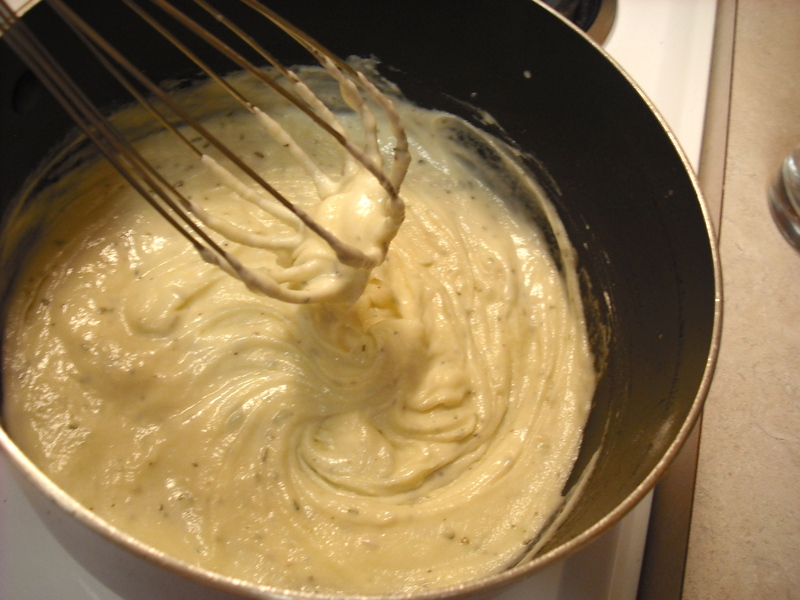 Stir constantly until nice and thick (like pictured above). This part will take a couple minutes. Once the mixture starts to pull away from the pot when you stir, it’s thick enough. Step 6: Who doesn’t like cheese? It’s time to add in some cheddar cheese and mix it up until melted. You can skin this step if you want, or add more too depending on your taste buds! Step 7: I bet at this point you think I’ve forgotten about those peas. Truth is, I just didn’t want them pureed with the rest of the soup and making it turn green in color (it will happen, ask me how I know)! I used frozen peas, so I just prepped them in the microwave and added them as my final step! Viola! 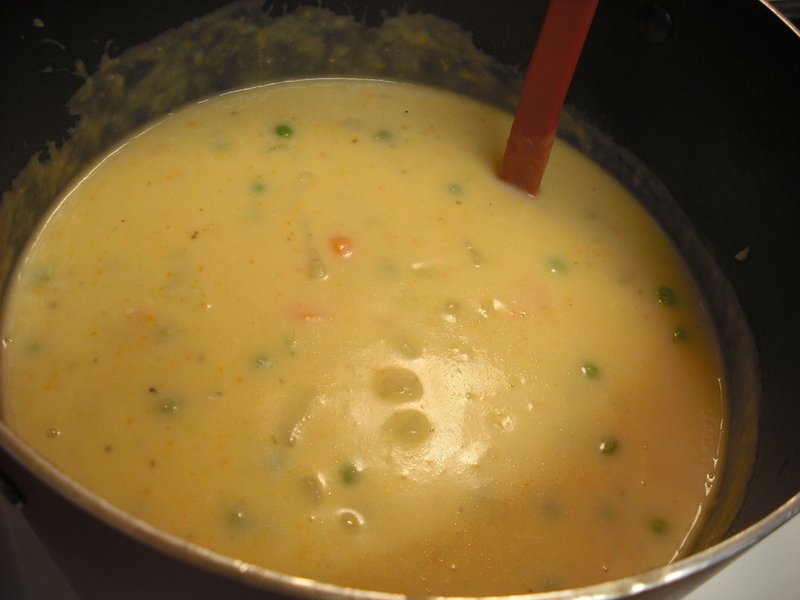 Enjoy your super yummy, creamy, potato soup! Who doesn’t like grilled cheese with their soup?! I mean, for real. 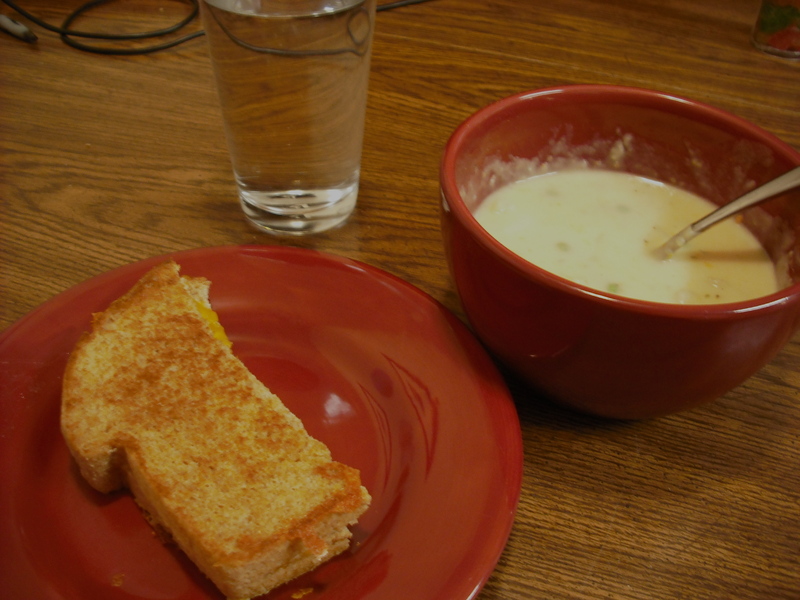 It’s grilled cheese and soup; the perfect food match.